When it comes time to buy or lease a new Audi luxury sedan or SUV, the cost of Audi maintenance may be on your mind. That's why we offer Audi Care and Audi Care Select, two prepaid service packages that take the guess work out of your Audi vehicle's maintenance schedule. And on top of that, you can enjoy those same Audi service items free of charge when you purchase one or both of these plans from our Audi dealer in Brookline, MA. There's no need to break the bank on Audi maintenance when you have an Audi Care package at your disposal. What Does Audi Care Cover? Our Brookline Audi dealer has clients asking all the time how they can save money on costly Audi service visits. With Audi Care and Audi Care Select, you can be well on your way to saving big. What's the difference between Audi Care and Audi Care Select? 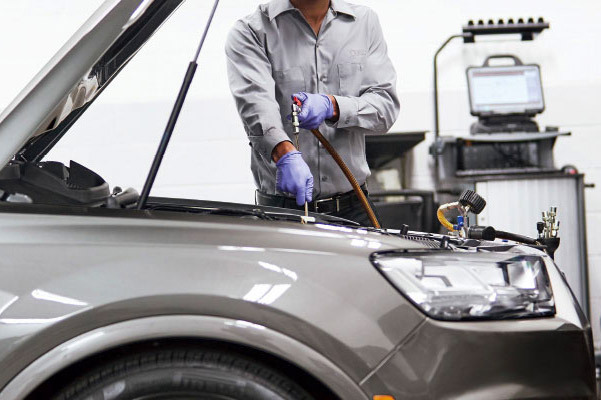 Audi maintenance schedules suggest that you have your Audi serviced every 12 months or 10,000 miles. Every new Audi purchased from Audi Brookline comes with a complimentary Audi free maintenance visit for your first service interval. By opting into a single Audi Care package, you can cover the regular maintenance on your Audi for the four subsequent service intervals. How much does it cost to service an Audi? When you opt in for an Audi Care Select package, your regular Audi service visits up to 90,000 miles will cost nothing. Audi Care Select plans can be purchased before the 40,000-mile service interval on your new or Certified Pre-Owned Audi has passed. And in addition, both Audi Care and Audi Care Select prepaid plans cover more than just regular maintenance. Think your Audi SUV is not driving correctly? 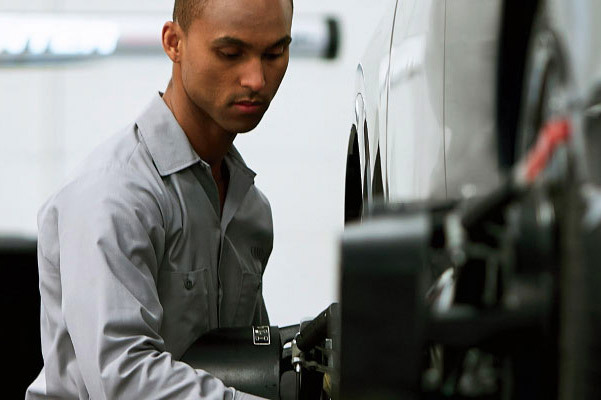 Our experienced Audi service technicians will take it for a road test to ensure that your vehicle is operating in tip-top shape. Is Audi Care Worth It? Given the information above, you're probably wondering if Audi Care is worth it or if you should opt for Audi Care Select. If you have any questions about Audi prepaid maintenance or any other Audi service inquiries, contact Audi Brookline and one of our experts will be happy to assist. Keep your new Audi on the road for years to come when you have Audi scheduled maintenance performed at our Greater Boston Area Audi dealer.